Happy Chinese (or Lunar) New Year! My favourite thing about Chinese New Year is that my hubby will whip up a bunch of delicious Chinese dishes. This year he surprised me with my favourite tiger prawns in a delicious garlic ginger soy sauce. So, of course I had to photograph and share this masterpiece with you! These tiger prawns are perfectly cooked, juicy, tender and immersed in incredible Asian flavours of garlic, ginger and soy sauce. And guess what? 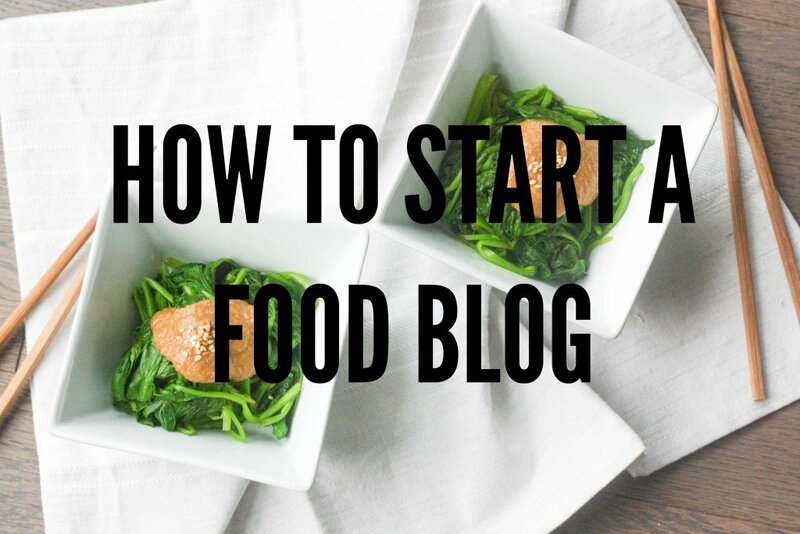 It only takes 15 minutes to make!! This includes the prep time. Uhh, hello new favourite weeknight meal of all time! Between the two of us, we basically devoured this dish on its own. 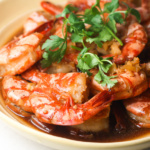 Not only are tiger prawns delicious, they also have an impressive nutritional profile. They are low-fat source of protein which makes them a healthier choice for protein than red meat. AND they are a good source of vitamins and minerals including vitamin B-12, B-6 and niacin, iron, just to name a few. 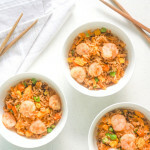 If you are looking to turn this into a more filling meal, I recommend serving this with a side of noodles, coconut rice, or plain steamed rice. Happy New Year and wish you all health and prosperity in the Year of the Dog! 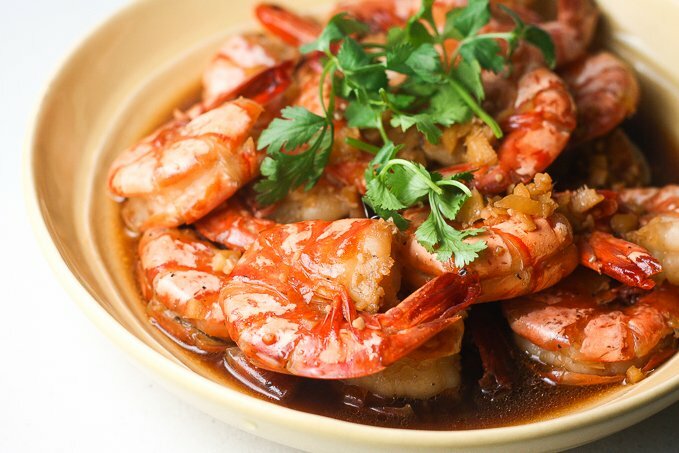 Perfectly cooked tiger prawns in garlic ginger soy sauce is juicy, tender and immersed in incredible Asian flavours. Heat oil in a large skillet over medium-high heat. Add ginger and garlic and cook for 30 seconds until fragrant. Add tiger prawns and stir to coat with oil. Continue to cook for 1-2 minutes, stirring constantly to ensure even cooking on all sides. Stir in cooking wine and continue to stir for 15 seconds. Stir in soy sauce and reduce heat to medium. Cook for 1 minute, stirring occasionally. Stir in sugar, pepper (optional) and water. Turn heat to high, cover and cook for 2 minutes. 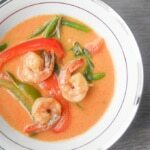 Turn heat down to low, give the prawns a final stir, ensuring that the sauce is coating prawns completely. Remove from heat. (Note: prawns will be done once they are evenly coloured and have shrunk in size but are no longer getting smaller). Serve with some cilantro on top. This was absolutely gorgeous. The flavour mix really complemented the prawns. My mix came out a little stickier with the sugar (me, not the recipe!!) but that made it more fun eating them with our fingers !!!!! haha!! Thanks, so glad you enjoyed the recipe! Even if it’s not sticky, I can’t help but use my fingers too! These look so delicious !! Love the color and I’m sure they taste great! 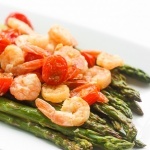 Yuuummmm… the flavor combinations… this dish looks lovely! I am drooling over this recipe. 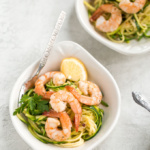 These look like an amazing, easy meal! 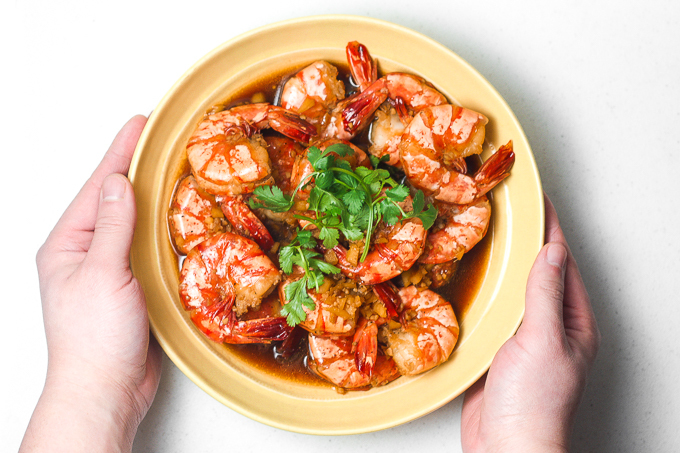 A few simple ingredients make for an amazing meal with these shrimp. That sauce looks so good-can’t wait to try this out soon. These look amazing! And that Garlic Ginger Soy sauce sounds amazing!! What a great hubby you have for whipping this up for you! Great pictures too! So appetizing!! 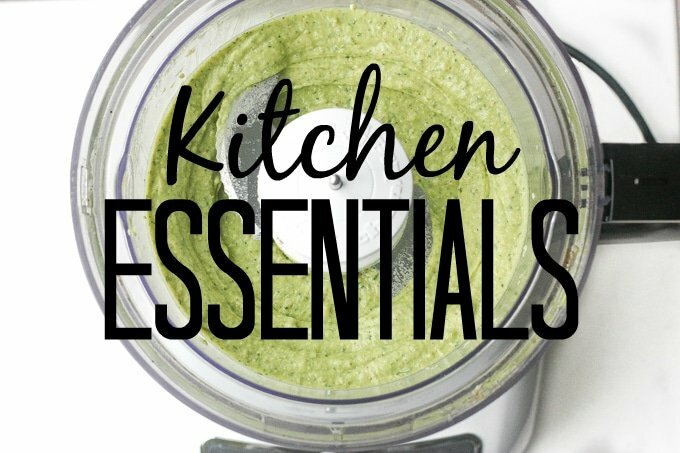 Love that this is a fast and simple recipe! This looks amazing and your husband is an amazing cook too I see. Happy New Year!! Oh, YUM! 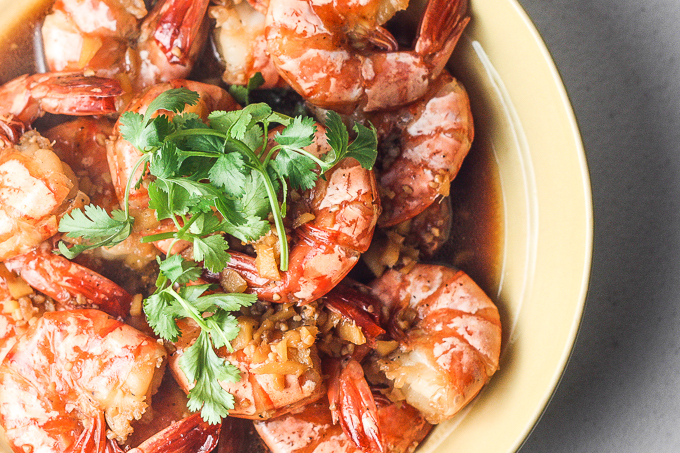 We love tiger prawns and these in garlic ginger soy sauce look amazing! !Happy year of the dog! Tell your husband he did a fantastic job!! 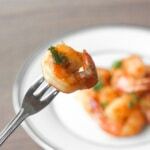 These prawns look perfect! How lucky for you to have a husband who can make 5 star Chinese food for you!